After six long, grueling days, the 2015 WSOP Main Event has delivered the fatal blow to 6,393 of the total 6,420 field of entrants. Of the mere 27 that remain, all eyes are on Daniel Negreanu. The 40 year old Canadian poker pro has accomplished many things in the poker world – far more than most can ever dream of – but the WSOP Main Event Championship has perpetually eluded him. He learned to play poker at 15 and by 22 he was packing his bags, leaving Toronto for the brilliant lights of Las Vegas to ‘live the dream’. Success wasn’t instant, but in 1997 the live tournament scene welcomed him with open arms. He cashed in 6 events, three being 1st place finishes, and collected over $75k that year. It was all uphill from there. 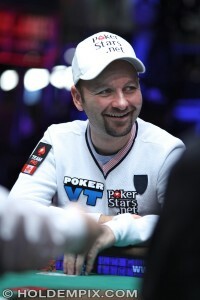 Daniel Negreanu has since become one of the most decorated poker pros in the world, earning the nickname ‘Kid Poker’. He’s captured a total of 6 WSOP bracelets and 2 WPT Titles. He has already been inducted into the Poker Hall of Fame, tying David ‘Chip’ Reese as the youngest inductee at age 40. He’s been named CardPlayer’s Player of the Year twice, and is ranked #1 on the Poker All Time Money List with $30,095,734 in live tournament cashes. With so many accolades, it may surprisesome to learn that, despite a multitude of attempts, Daniel Negreanu has never even cashed in the WSOP Main Event. Twice he’s landed in the bubble of the WSOP Europe Main Event, finishing 43rd in 2012 and 25th in 2013, but the ultimate prize of all – the WSOP Main Event Championship – is now just 26 eliminations from his grasp. As the final 27 players wait to be seated at the last three tables just a few hours from now, Daniel Negreanu holds the 9th highest chip stack of 8,495,000. The leader going into Day 7 is Thomas Kearney (14,400,000), followed closely by Matt Guan (14,230,000) and Erasmus Morfe (12,085,000), all of American descent. As Day 6 came to a close, Daniel Negreanu told CardPlayer TV how he felt about his position in the 2015 WSOP Main Event, guaranteed to earn his first cash and, hope upon hope, a Championship bracelet. Yesterday’s action saw some remarkable players heading for the rails. Bracelet winner Justin Bonomo found his chip stack running dry in 64th, worth a $96,445 payday. 2x EPT titlist Toby Lewis ran aground in 53rd for $137,300, followed by 2010 WSOP Main Event final tablist Matt Jarvis in 51st for the same $137,300 cash. Brian Hastings, who’s already snagged two bracelets this year (3 in all), was ousted in 49th place for $137,300 as well. Bracelet holder Steve Gross fell in 47th, also for $137,300, trailed by online poker pro Mark “P0ker H0” Kroon in 43rd for $164,086. One of the last to exit the arena last night was Kelly Minkin, who collected $211,811 for finishing 29th and earned the esteemed title of last woman standing in the 2015 WSOP Main Event. 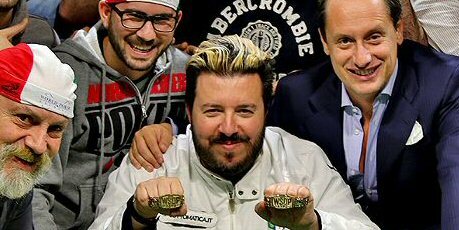 The pride of the Italian professional poker community, Max Pescatori, will be taking home his 4th WSOP bracelet; his second this year. The 44 year old poker pro cashed in for $292,158 on Monday after surviving Daniel Negreanu and Stephen Chidwick in the 2015 WSOP $10,000 7 Card Stud Hi-Lo Championship. With a 5-figure buy-in, the 3 Day event drew a crowd of 111 participants to the Rio’s registration booths. By the end of Day 1, Pescatori was on the low-end of the stacks, failing to receive notable mention among the 64 players set to return for Day 2. He fared better upon his return, one of only 11 players worthy of going into Day 3. Chidwick led with 808k chips at the start, but the Italian pro wasn’t far behind at 549k. Shortly after the elimination of Richard Sklar, the final 6 converged on center stage, featuring a wide range of nationalities: Thomas Butzhammer of Austria, Gary Benson of Australia, Aleksandr Denisov of Russia, Daniel Negreanu of Canada, Stephen Chidwick of England and Max Pescatori of Italy. Butzhammer was the first to fall, ending in 6th for $51,022. After eliminating the Austrian, Benson found himself short stacked, falling victim to Pescatori in 5th for $63,981. Next out was Denisov, collecting $81,865 for 4th when Chidwick scooped the remainder of his chips. That left three elite poker pros around the felt. On the very next hand, Chidwick jumped head of Pescatori with 1.2mm, but Negreanu held the lead with 1.4mm. Soon after, it looked like the Brit was going to sweep the table when he rose to 2.1mm, leaving just over 600k in front of each of his opponents, but that wasn’t the case. All three took part in the hand that would end up being the demise of Negreanu. Pescatori scooped the pot, sending Daniel out in 3rd for $113,062, and thus began his comeback. Just a few hands later, the Italian poker pro was ahead 2-to-1 in the counts, and the very next hand would seal the deal. Back and forth they bet until the sixth street, when Chidwick put the last of his 1.12mm in the pot, and the cards were tabled. Chidwick was ahead with a pair of Kings to Pescatori’s 10’s, but as he pulled the A♠ on seventh, preparing to double up and take the lead, his Italian foe drew a gorgeous set with 10♠. Max Pescatori was crowned the victor of the 2015 WSOP $10k 7 Card Stud H-Lo Championship, awarded his 4th WSOP bracelet – the second this year alone – and $292,158 for the 1st place finish. After getting the closest he’s ever come to a bracelet of his own—Chidwick has made 9 WOSP final tables in his career—Stephen was left with the honorable consolation prize of $180,529. The game of poker is technically classified as a sport. But when we think of sports, we picture young, virile athletes with toned muscles. If you saw a silver-haired senior running the length of a basketball court with the likes of Steph Curry, who do you think would win? It’s that exact sentiment that 72 year old Andre Boyer believes worked to his advantage last night at the 2015 WSOP. Boyer was one of 873 entrants in Event #34, $1,500 Split-Format No Limit Holdem. And if you’re not familiar with “split format” poker, you probably don’t play a great deal of variety online. The split format structure was originally devised as an online poker format for fast-paced grinders who put in long hours at the virtual tables. For this 2015 WSOP event, it meant Day 1 would consist of full tables, Day 2 would shrink down to 6-handed, and Day 3 would be comprised of all heads-up matches. Finally, once just 8 players remained standing, they would be merged into a full, final table of 8. This may not sound like your grandfather’s poker game, but if Andre Boyer happens to be your grandfather, it most certainly is! Hailing from Quebec, Canada, Boyer is no novitiate to the felt, or the World Series of Poker. In fact, he’s cashed at least once in every WSOP since 1996 except two (2000, 2012). In that first year, Andre Boyer actually found himself seated at the 1996 WSOP Main Event, finishing in 6th place for $97,500 before Huck Seed went on to win it. It wasn’t until 2005 that the Canadian poker pro experienced ultimate success at the World Series of Poker. He entered a $3,000 NL Holdem event, 1,010 entrants strong, and went on to defeat American poker pro Matt Glantz in heads-up to collect his first WSOP bracelet and $682,810. With last night’s win, Andre Boyer increased his career live tournament winnings to $1,560,604. The WSOP victory that almost never happened; that was Boyer’s experience last night at the Rio. When the final table was polished down to two, Boyer faced off with French poker pro Erwann Pecheux. Boyer was way down in the counts, holding a mere 10♣ 5♠. When the flop fell Q♦ 10♠ J♦, it was all he could do to shove his remaining chips into the middle. But Pecheux was quick to call, tabling J♣ 4♣. With the Frenchman well ahead, Boyer found minimal solace in the A♥ turn that offered a slight chance of chopping the pot. But then his tournament life was miraculously restored by the 10♦ river, giving Boyer the set, the win, and a renewed chance to win his second bracelet. It took only 6 more hands for Andre Boyer to collect the rest of the chips. Up 5.5mm to Erwann’s 1.3mm, the Canadian did not hesitate to call when Percheux shipped. And with that, Andre Boyer was crowned the victor, receiving his second WSOP bracelet and a worthy prize $250,483. Erwann Percheux was gravely disappointed, having finished runner up on several occasions in major events, but never earning a title. 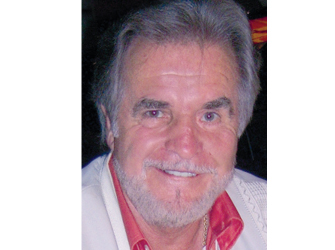 He did not go home empty handed, though, pocketing $156,098 for his 2nd place finish. For the next three days, online poker players in New Jersey can win a $3,000 prize package that includes a seat in the WSOP Circuit Main Event at the Horseshoe Casino in Baltimore. Online satellites began at WSOP.com yesterday and will continue through March 1, guaranteeing a minimum of 1 prize package per day. The World Series of Poker Circuit series got underway in Baltimore, Maryland on Thursday with the first of 12 events in the series. But those who already made the trip to partake in the opening tournaments will be missing out on the chance to win a seat into the WSOP Circuit Main Event next weekend. That’s because poker players will have to be physically located in New Jersey in order to win one of the multiple $3,000 prize packages from WSOP.com. The online poker room is hosting a $30 WSOP Circuit Qualifier, with Re-buys and Add-ons ($27.30 + $2.70 each) every evening at 6:00pm sharp until Sunday, March 1. At least one player will win a $3,000 prize package to the Main Event in each day’s online satellite. The total number of prize packages awarded will depend on the level of participation. For every $3,000 in the prize pool (every 110 players registered), another $3k prize package will be awarded. Each WSOP Circuit prize package will include the $1,675 buy-in for the WSOP Circuit Main Event, automatically submitting the winner’s entry fee and name for pre-registration. However, winners are responsible for complete the registration process in person prior to the start of the Main Event. The remainder of the $1,325 prize money will be deposited into the winner’s online poker account at WSOP.com. This money can be used at the poker site or withdrawn, whichever the player wishes. However, winners are responsible for all travel expenses, accommodations, meals, etc. The WSOP Circuit Main Event is scheduled for two Day 1 flights; Friday, March 6th and Saturday, March 7th, both starting at 12:00 noon on their respective days. It is up the each winner to decide which day they prefer to register for. The Main Event will take place at the Horseshoe Casino located at 1525 Russell Road in Baltimore, Maryland. The eventual winner of the tournament will receive a WSOP Circuit Ring, along with an automatic invitation to compete in the WSOP Circuit National Championships coming up in May. Prizes are non-transferable, so those who can’t make it to Baltimore next weekend should abstain from participating in the online poker satellites this weekend. However, it should also be noted that WSOP.com members in New Jersey can win more than one satellite and prize package. According to the terms of the promotion, if any single player wins more than one satellite qualifier, WSOP.com will deliver the first prize package per the original conditions. Any other winnings will be paid as $1,675 (the amount of the Main Event buy-in) in online tournament tickets, and the other $1,325 in cash (via the player’s online poker account). Tournament tickets will be awarded in segments of 8x T$200, 1x T$50 and 1x T$25. Nevada was the first state to launch a regulated internet gaming market in the United States, but the last of three (including Delaware and New Jersey) to issue public online poke revenue reports for the industry. Now, after nearly one year of unrestricted revenue data logs, the Silver State is once again not required to make its online poker earnings public knowledge. 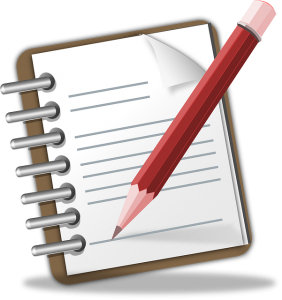 According to the guidelines set forth by the Nevada Gaming Control Board (NGCB) when drafting iGaming regulations, the state is only required to issue reports detailing online poker revenue generation if there are three or more active operators. When Ultimate Poker closed its virtual doors late last year, it left only two operators, thus no obligation to publish the information. Ultimate Poker made history when the operator launched the very first US regulated online poker site on April 30, 2013. For months, UP remained the only active operator in the state, or the nation for that matter. Then on September 19 of that same year, WSOP.com joined the limited ranks of Nevada’s online poker market. But still, the number of operators was below the required amount to issue public revenue reports. It wasn’t until South Point became the third operator in Nevada with the launch of Real Gaming in February of 2014 that the state finally released its first online poker revenue report. Due to the nature of those reports, which include 1-month, 3-month and 12-month summaries, the complete yield for 2013 was also revealed, amounting to $8.524 million since the initial launch of UP. Some had hoped that the NGCB would retract the former reporting rule requirement when the number of operators fell back to two, but obviously that’s not the case. Therefore, until a third operator joins the ranks, concerned market analysts and media outlets will be forced to estimate the monthly yield for December 2014, January 2015 and however many months transpire before publications resume. There are three possible candidates to shoulder the responsibility of becoming Nevada’s next 3rd online poker operator, thus becoming the catalyst for the state’s resumption of online poker revenue reports. Which of those three will hit the market first is hard to say, but it is expected to happen in 2015. The All American Poker Network (AAPN), on which WSOP.com is currently hosted, is projected to integrate two new sites in the coming year. One is expected to be launched by Treasure Island, and the other 888Poker, proprietor of AAPN. The significance of either of these sites launching would be the resulting shared player pool with WSOP.com, which already leads the Nevada online poker market by leaps and bounds. The other possibility is HDPoker.com, powered by a new, Nevada-based software company known as Z4Poker. The developer has already been licensed by the NGCB, but has yet to partner with any land-based operator, as is required by regulatory guidelines to offer real money poker games over the internet. Rumor has it that Z4Poker has a relationship with the Siena Hotel & Casino in Reno, NV, but no partnership deal has been confirmed. In 2014, it was reported that HDPoker anticipated its launch before end of year, with a mobile poker app to be added in Q1 2015, but the website indicates the software remains in Beta Testing mode.